Last week our U-14 boys and U-17 girls had one of the best experiences in their young soccer careers. Meaningful experiences that were not exclusively on the field. Our students athletes had the blessings to be hosted by families from the club Scott Gallagher, a club that has a collaboration agreement with us. Our boys and girls were received at the airport by the Gallagher families Friday September 28th at midnight, families opened their homes and treat our student athletes like they were their own. During the week our players had the chance to play friendly games, visited boarding schools, train with AS Roma Coach Pedro Cavalcanti and played the tournament Fall Festival. Sesión con Pedro Cavalcanti de AS Roma. Unity – how these families received them like one their own. Humility – how important is to be humble and sharing your blessings with others. Passion – the importance of giving your best in everything, and this is what the families did with our kids. Respect – in every minute of our trip, families showed respect to our kids. Tradition – the involvement and commitment showed by the families by hosting our kids was outstanding. Equipo calentando previo a un juego. 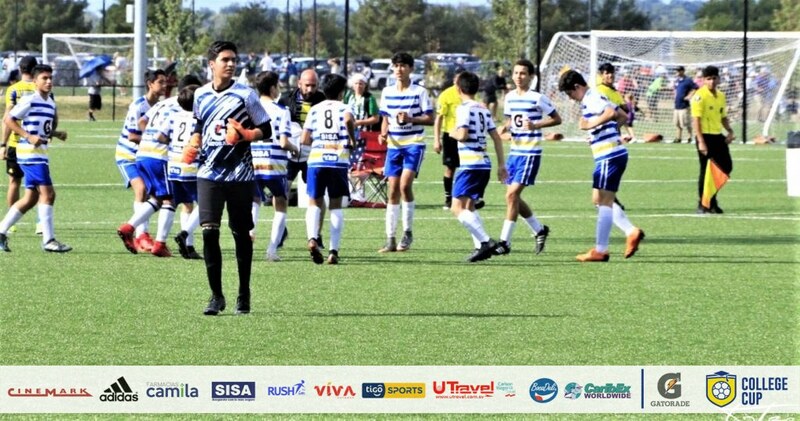 As College Cup, we thank the families that hosted our boys and girls, we are sure that the relationships built last week will last for lifetime and hope to see you all soon, either in the USA or El Salvador.